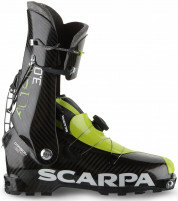 You know you’re serious about skimo racing when you have a carbon fiber shovel in your pack. 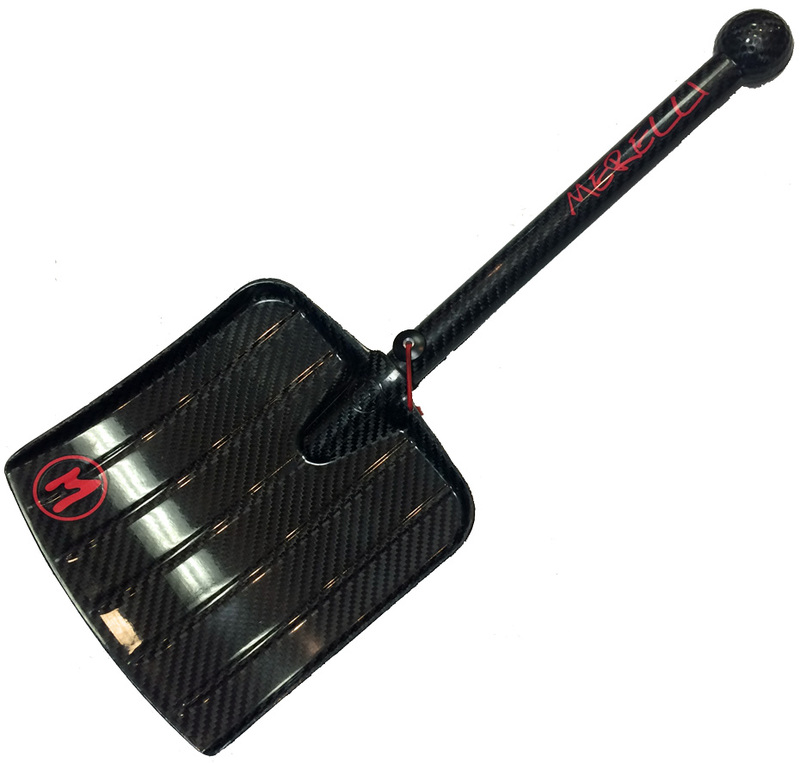 Merelli offers the lightest ISMF certified shovel in the world. Constructed onsite in the company’s high tech factory in Italy, the Carbon Shovel sets a new standard in lightweight safety. Safety in this case does not refer to the shovel’s ability to dig, which is limited by the blade’s 20x20cm size. Rather it refers to the spherical handle which has no dangerous angles that could be a problem for your vertebrae in a crash. The blade and handle are held together with pin that is tied to the handle. When separated, it packs down into almost nothing, sure to fit in any race pack. If second place sounds lame, this shovel was made for you. Absolutely the lightest shovel certified for international races. Spherical handle is designed to avoid puncturing your back. Blade and handle separate and fit into a very compact space. Made with a special type of carbon fiber satisfy ISMF norms. Available 15cm extension to meet PDG race requirements.